So why do we have Flexible Solar Plans? The answer is quite simple. 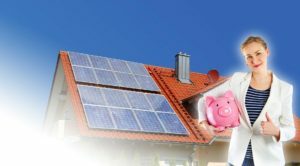 We recognize the people who need home solar panels the most to reduce their electricity bills, are the ones who can’t afford the up front outlay. Therefore we had to come up with a solution to see how we can help these people, people just like you. Hence The Home Solar Flexi plans. What makes these Flexible-Plans unique is that they are Flexible. On average say you use the 20 KW a day your Home Solar Panel system is producing and you were paying 30 cents a Kilowatt to your electricity supplier, that would work out $6:00 per day you would save, which works out to be $42:00 per week and over $2190 per year! Therefore you could choose a Flexible-Plan between $25:00 to $40:00 per week so you could be saving immediately, but how much is up to you! To find out more how we can help you have real savings, please contact us via the phone or you can leave your details or your concerns in the message section below. We genuinely look forward to hearing from you.